"BIOT" redirects here. For other uses, see BIOT (disambiguation). Territorial song: "I Vow To Thee My Country"
The British Indian Ocean Territory (BIOT) is an overseas territory of the United Kingdom situated in the Indian Ocean halfway between Tanzania and Indonesia, and directly south of the Maldives. The territory comprises the seven atolls of the Chagos Archipelago with over 1,000 individual islands – many very small – amounting to a total land area of 60 square kilometres (23 sq mi). The largest and most southerly island is Diego Garcia, 27 km2 (10 sq mi), the site of a joint military facility of the United Kingdom and the United States. The only inhabitants of the territory are US and British military personnel and associated contractors, who collectively number around 2,500 (2012 figures). The removal of Chagossians from the Chagos Archipelago occurred between 1968 and 1973. The Chagossians, then numbering about 2,000 people, were expelled by the British government to Mauritius and the Seychelles to allow the United States to build a joint UK/US military base there. Today, the exiled Chagossians are still trying to return, arguing that the forced expulsion and dispossession was illegal. The islands are off-limits to Chagossians, casual tourists, and the media. Since the 1980s the government of Mauritius has sought to regain control over the Chagos Archipelago, which was separated from the British Colony of Mauritius by the UK in 1965 to form the British Indian Ocean Territory. On 23 June 2017, the United Nations General Assembly (UNGA) voted in favour of referring the territorial dispute between Mauritius and the UK to the International Court of Justice (ICJ) in order to clarify the legal status of the Chagos Islands archipelago in the Indian Ocean. The motion was approved by a majority vote with 94 voting for and 15 against.. Judge Abdulqawi Ahmed Yusuf described the UK's administration of the Chagos Islands as "an unlawful act of continuing character". In February 2019, the International Court of Justice in The Hague ruled that Britain should transfer the islands to Mauritius as they were not legally separated from the latter in 1965. The ruling is not legally binding. Maldivian mariners knew the Chagos Islands well. In Maldivian lore, they are known as Fōlhavahi or Hollhavai (the latter name in the closer Southern Maldives). According to Southern Maldivian oral tradition, traders and fishermen were occasionally lost at sea and got stranded on one of the islands of the Chagos. Eventually they were rescued and brought back home. However, these islands were judged to be too far away from the seat of the Maldivian crown to be settled permanently by them. Thus, for many centuries the Chagos were ignored by their northern neighbours. The islands of Chagos Archipelago were charted by Vasco da Gama in the early sixteenth century, then claimed in the eighteenth century by France as a possession of Mauritius. They were first settled in the 18th century by African slaves and Indian contractors brought by Franco-Mauritians to found coconut plantations. In 1810, Mauritius was captured by the United Kingdom, and France ceded the territory in the Treaty of Paris. In 1965, the United Kingdom split the Chagos Archipelago from Mauritius and the islands of Aldabra, Farquhar and Desroches (Des Roches) from the Seychelles to form the British Indian Ocean Territory. The purpose was to allow the construction of military facilities for the mutual benefit of the United Kingdom and the United States. The islands were formally established as an overseas territory of the United Kingdom on 8 November 1965. On 23 June 1976, Aldabra, Farquhar and Desroches were returned to Seychelles as a result of its attaining independence. Subsequently, BIOT has consisted only of the six main island groups comprising the Chagos Archipelago. In 1990, the first BIOT flag was unfurled. This flag, which also contains the Union Jack, has depictions of the Indian Ocean, where the islands are located, in the form of white and blue wavy lines and also a palm tree rising above the British crown. British diplomatic cable signed by D.A. Greenhill, 1966, relating to the depopulation of the Chagos Archipelago stating "Unfortunately along with the birds go some few Tarzans or Men Fridays." In 1966, the British government purchased the privately owned copra plantations and closed them. Over the next five years, the British authorities forcibly and clandestinely removed the entire population of about 2,000 people, known as Chagossians (or Ilois), from Diego Garcia and two other Chagos atolls, Peros Banhos and Salomon Islands, to Mauritius. In 1971, the United Kingdom and the United States signed a treaty, leasing the island of Diego Garcia to the US military for the purposes of building a large air and naval base on the island. The deal was important to the UK government, as the United States granted it a substantial discount on the purchase of Polaris nuclear missiles in return for the use of the islands as a base. The strategic location of the island was also significant at the centre of the Indian Ocean, and to counter any Soviet threat in the region. View of Diego Garcia, showing military base. Work on the military base commenced in 1971, with a large airbase with several long range runways constructed, as well as a harbour suitable for large naval vessels. Although classed as a joint UK/US base, in practice it is primarily staffed by the US military, although the British maintain a garrison at all times, and Royal Air Force long range patrol aircraft are deployed there. The United States Air Force used the base during the 1991 Gulf War and the 2001 war in Afghanistan, as well as the 2003 Iraq War. The islanders, who now reside in Mauritius and the Seychelles, have continually asserted their right to return to Diego Garcia, winning important legal victories in the English High Court in 2000, 2006 and 2007. However, in the High Court and Court of Appeal in 2003 and 2004, the islanders' application for further compensation on top of the £14.5 million value package of compensation they had already received was dismissed by the court. On 11 May 2006, the High Court ruled that a 2004 Order in Council preventing the Chagossians' resettlement of the islands was unlawful, and consequently that the Chagossians were entitled to return to the outer islands of the Chagos Archipelago. On 23 May 2007, this was confirmed by the Court of Appeal. In a visit sponsored by the British government, the islanders visited Diego Garcia and other islands on 3 April 2006 for humanitarian purposes, including the tending of the graves of their ancestors. On 22 October 2008, the British government won an appeal to the House of Lords regarding the royal prerogative used to continue excluding the Chagossians from their homeland. HMG would like to establish a "marine park" or "reserve" providing comprehensive environmental protection to the reefs and waters of the British Indian Ocean Territory (BIOT), a senior Foreign and Commonwealth Office (FCO) official informed Polcouns on 12 May. The official insisted that the establishment of a marine park – the world's largest – would in no way impinge on USG use of the BIOT, including Diego Garcia, for military purposes. He agreed that the UK and U.S. should carefully negotiate the details of the marine reserve to assure that U.S. interests were safeguarded and the strategic value of BIOT was upheld. He said that the BIOT’s former inhabitants would find it difficult, if not impossible, to pursue their claim for resettlement on the islands if the entire Chagos Archipelago were a marine reserve. The UK government established a marine reserve in April 2010 to mixed reactions from Chagossians. While the UK Foreign Office claimed that it was an environmental move as well as a necessary move to improve the coral populations off east Africa and therefore sub-saharan marine supplies, some Chagossians claimed that the reserve would prevent any resettlement due to the inability to fish in protected areas. The Chagossian UK-based Diego Garcian Society stated that it welcomed the marine reserve, noting that it was in the interest of Chagossians to have the area protected while they were exiled and that it could be renegotiated upon resettlement. The Foreign Office claimed the reserve was made "without prejudice to the outcome of the current, pending proceedings before the European Court of Human Rights". On 1 December 2010, a leaked US Embassy London diplomatic cable exposed British and US communications in creating the marine nature reserve. The cable relays exchanges between US Political Counselor Richard Mills and British Director of the Foreign and Commonwealth Office Colin Roberts, in which Roberts "asserted that establishing a marine park would, in effect, put paid to resettlement claims of the archipelago's former residents." Richard Mills concludes: "Establishing a marine reserve might, indeed, as the FCO's Roberts stated, be the most effective long-term way to prevent any of the Chagos Islands' former inhabitants or their descendants from resettling in the BIOT." The cable (reference ID "09LONDON1156") was classified as confidential and "no foreigners", and leaked as part of the Cablegate cache. View of East Point, Diego Garcia, from the air. Elizabeth II is the head of state of the British Indian Ocean Territory. 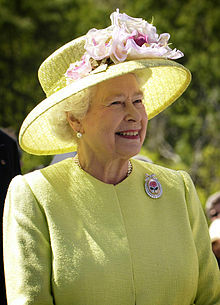 As a territory of the United Kingdom, the head of state is Elizabeth II. There is no governor appointed to represent the Queen on the territory, as there are no longer any native inhabitants. The head of government is the commissioner, currently Ben Merrick (since August 2017, replacing John Kittmer), and administrator John McManus (since April 2011, replacing Joanne Yeadon), all of whom reside in the United Kingdom. The commissioner's representative in the territory is the officer commanding the detachment of British forces. The laws of the territory are based on the territorial constitution set out in the British Indian Ocean Territory (Constitution) Order 2004, which gives the Commissioner full powers to make laws for the territory. If the Commissioner has not made a law on a particular topic then, in most circumstances, the laws that apply in the BIOT are the same as those that apply in England under the terms of the Courts Ordinance 1983. However, since almost all residents of the BIOT are members of the United States military, in practice crimes are more commonly charged under United States military law. Applicable treaties between the United Kingdom and the United States govern the use of the military base. The United States is required to ask permission of the United Kingdom to use the base for offensive military action. Map of the British Indian Ocean Territory since 1976. The territory is an archipelago of 55 islands, the largest being Diego Garcia, accounting for almost half of the total land area of the territory, which is 60 km². The terrain is flat and low, with most areas not exceeding 2 metres above sea level. The climate is tropical marine; hot, humid, and moderated by trade winds. In 2010 545,000 square kilometres (210,426 sq mi) of ocean around the islands was declared a marine reserve. With the exception of one two-lane motorway, most of the islands in the territory have no roads of any sort. Diego Garcia has a short stretch of paved road between the port and airfield; otherwise transport is mostly by bicycle. Diego Garcia's military base is home to the territory's only airport. At 3000 metres long, it is capable of supporting heavy USAF bombers such as the B-52 and would have been able to support the Space Shuttle in the event of a mission abort. It also has a major seaport. There is also a marina bus service along the main road of the island. The island had many wagonways, which were donkey-hauled narrow gauge railroads for the transport of coconut carts. These are no longer in use and have deteriorated. On 1 April 2010, the Chagos Marine Protected Area (MPA) was declared to cover the waters around the Chagos Archipelago. However Mauritius objected stating this was contrary to its legal rights, and on 18 March 2015 the Permanent Court of Arbitration ruled that the Chagos Marine Protected Area was illegal under the United Nations Convention on the Law of the Sea as Mauritius had legally binding rights to fish in the waters surrounding the Chagos Archipelago, to an eventual return of the Chagos Archipelago, and to the preservation of any minerals or oil discovered in or near the Chagos Archipelago prior to its return. Provides an environmental benchmark for other areas. Unlike the rest of the world, the BIOT has been relatively untouched by man's actions. Providing a natural laboratory to help understand climate change. Opportunity for research related to marine science, biodiversity, and climate change. Acting as a reserve for species in danger in other areas. Providing an export of surplus juveniles, larvae, seeds, and spores to help with output in neighbouring areas. The area had already been declared an Environmental (Preservation and Protection) Zone, but since the establishment of the MPA, fishing is no longer permitted in the area. The BIOT Patrol Vessel the MV Pacific Marlin is based in Diego Garcia. It is presently operated by the Swire Pacific Offshore Group under a 4-year contract with the BIOT Administration, which was renewed on 1 January 2011. The MV Pacific Marlin patrols the marine reserve all year, and since the marine reserve was designated in April 2010, the number of apprehensions of illegal vessels within the area has increased. The Pacific Marlin was built in 1978 as an oceangoing tug. It is 57.7 metres long with a draft of 3.8 metres and gross tonnage 1,200. It has a maximum speed of 12.5 knots with an economic speed of 11 knots, permitting a range of about 18,000 nautical miles and fuel endurance of 68 days. It is the oldest vessel in the Swire fleet. The total population was reported at 4,000 in 2006, of whom 2,200 were American military personnel or contractors, 1,400 were Filipino contract workers, 300 were Mauritian contract workers, and 100 were members of the British Armed Forces. It is believed the population has significantly decreased since the end of US bombing operations from the island in August 2006. All economic activity is concentrated on Diego Garcia, where joint Anglo-American defence facilities are located. Approximately 2,000 native inhabitants, known as the Chagossians or Ilois, were forcibly relocated to Mauritius before construction of these facilities; in 1995, there were approximately 1,700 UK and US military personnel and 1,500 civilian contractors living on the island. Construction projects and various services needed to support the military installations are carried out by military and contract employees from Britain, Mauritius, the Philippines, and the US. There are no industrial or agricultural activities on the islands. Until the creation of the marine sanctuary, the licensing of commercial fishing provided an annual income of about $1 million for the territory. 1990 stamp of British Indian Ocean Territory. Postage stamps have been issued for British Indian Ocean Territory since 17 January 1968. As the territory was originally part of Mauritius and the Seychelles, these stamps were denominated in rupees until 1992. However, after that date they were issued in denominations of British Pounds, the official currency of the territory. Separate telephone facilities for military and public needs are available, providing all standard commercial telephone services, including connection to the Internet. International telephone service is carried via satellite. Services offered include international telephone, broadband internet and WiFi, GSM mobile, paging services and TV rebroadcast services. Telephone and internet services are also offered to maritime customers as well as an extensive portfolio of services to business and Government customers. The territory has three FM radio broadcast stations provided by American Forces Network and British Forces Broadcasting Service. 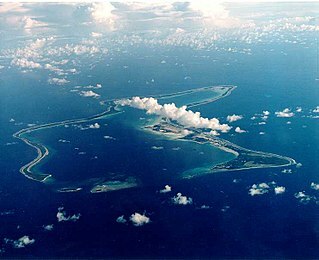 Due to its geographic location in proximity to the equator with unobstructed views to the horizon, Diego Garcia has access to a relatively large number of geosynchronous satellites over the Indian and eastern Atlantic Oceans, and the island is home to Diego Garcia Station (DGS), a remote tracking station making up part of the Air Force Satellite Control Network. Diego Garcia Station has two sides to provide enhanced tracking capabilities for AFSCN users. Amateur radio operations occur from Diego Garcia, using the British callsign prefix VQ9. An amateur club station, VQ9X, was sponsored by the US Navy for use by operators both licensed in their home country and possessing a VQ9 callsign issued by the local British Indian Ocean Territory representative. However, the US Navy closed the station in early 2013, hence any future licensed amateurs wishing to operate from the island will have to provide their own antenna and radio equipment. ^ "British Indian Ocean Territory - Heraldry of the World". www.ngw.nl. Retrieved 16 March 2018. ^ a b "British Indian Ocean Territory". worldstatesman.com. Retrieved 5 April 2013. ^ a b c d British Indian Ocean Territory (British Overseas Territory), Foreign and Commonwealth Office. Retrieved 34 September 2017. ^ a b "The Overseas Territories – Security, Success and Sustainability" (PDF). UK Foreign and Commonwealth Office. Retrieved 27 October 2016. ^ a b c "British Indian Ocean Territory". World Factbook. Central Intelligence Agency. 27 March 2013. Retrieved 5 April 2013. ^ "British Indian Ocean Territory Currency". GreenwichMeantime.com. Retrieved 5 April 2013. ^ Pobjoy Mint Ltd (17 May 2009). "Launch of First Commemorative British Indian Ocean Territory Coin". coinnews.net. Retrieved 4 April 2014. ^ "Mauritius profile". BBC World. 2011. Retrieved 4 April 2012. ^ "Historical Background – What Happened to the Chagos Archipelago?". chagosinternational.org. Archived from the original on 8 February 2013. Retrieved 4 April 2012. ^ Sengupta, Somini (22 June 2017). "U.N. Asks International Court to Weigh In on Britain-Mauritius Dispute". The New York Times. ^ "Chagos legal status sent to international court by UN". BBC News. 22 June 2017. Retrieved 23 June 2017. ^ "Chagos Islands dispute: UK obliged to end control - UN". BBC. Retrieved 2019-02-25. ^ Xavier Romero-Frias (1999). "1 A Seafaring Nation". The Maldive Islanders, A Study of the Popular Culture of an Ancient Ocean Kingdom. Barcelona: Nova Ethnographia Indica. p. 19. ISBN 84-7254-801-5. ^ Vine, David (17 April 2008). "Introducing the other Guantanamo". Asia Times. atimes.com. Retrieved 5 April 2013. ^ United States Dept. of State. Office of the Geographer (1968). Commonwealth of Nations. U.S. Government Printing Office. p. 15. Retrieved 7 November 2013. ^ "British Indian Ocean Territory". WorldAtlas.com. Retrieved 23 June 2013. ^ Baker, Luke (25 May 2007). "The coral sea vista opened up by British judges". Reuters. Retrieved 5 April 2013. ^ Knapton, Sarah (21 October 2008). "Law Lords to rule on whether Chagos Islanders can finally return home". The Daily Telegraph. Retrieved 5 April 2013. ^ Foreign Affairs Committee (6 July 2008). "Seventh Report – Overseas Territories". House of Commons: 125. Retrieved 6 August 2009. ^ "British Indian Ocean Territory". The World Factbook. Central Intelligence Agency. 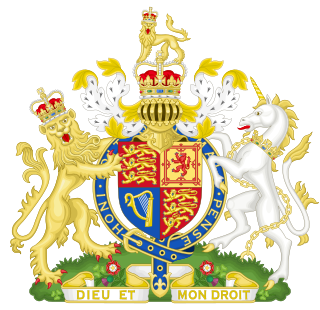 ^ The Queen on the application of Louis Olivier Bancoult v Secretary of State for Foreign and Commonwealth Affairs , 1038 (Admin) (2006 reporter=EWHC). ^ Secretary of State for Foreign and Commonwealth Affairs v The Queen (on the application of Bancoult) , EWCA Civ 498 (2007). ^ Reynolds, Paul (3 April 2006). "Paradise regained – for a few days". BBC News. Retrieved 27 April 2010. ^ "Britain wins appeal over Chagos islanders' return home". Google. Agence France-Press. 22 October 2008. Retrieved 5 April 2013. 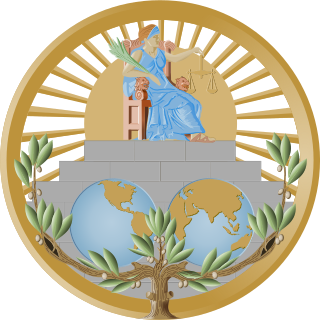 ^ R (on the application of Bancoult) v Secretary of State for Foreign and Commonwealth Affairs , UKHL 61 (2008). ^ "HMG Floats Proposal for Marine Reserve Covering Chagos Archipeligo (British Indian Ocean Territory)". The Daily Telegraph. telegraph.co.uk. 4 February 2011. Retrieved 5 April 2013. ^ a b "UK sets up Chagos Islands marine reserve". BBC News. 1 April 2010. Retrieved 25 November 2011. ^ a b "Cable 09LONDON1156_a". Wikileaks. 15 May 2009. Retrieved 23 February 2015. ^ "British Indian Ocean Territory (Constitution) Order 2004 – a Freedom of Information request to Privy Council Office". whatdotheyknow.com. 9 November 2012. ^ Cormacain, R. "Prerogative legislation as the paradigm of bad law-making: the Chagos Islands" (2013) 39 Commonwealth Law Bulletin 487. ^ British Indian Ocean Territory Ordinance No 3 of the 1983 ("the Courts Ordinance"), Article 3.1. ^ a b c "HA08, British Indian Ocean Territory (BIOT) Chagos Archipelago, United Kingdom". Comprehensive Nuclear-Test-Ban Treaty Organization. Retrieved 5 April 2013. ^ John Pike (20 July 2007). "Space Shuttle Landing Sites". GlobalSecurity.org. Retrieved 5 April 2013. ^ "On the Chop's Visit to Diego Garcia". thebaltimorechop.com. 12 October 2010. Retrieved 5 April 2013. ^ Morris, Ted. "Diego Garcia – The Plantation". zianet.com. ^ Owen Bowcott, Sam Jones (19 March 2015). "UN ruling raises hope of return for exiled Chagos islanders". The Guardian. Retrieved 29 March 2015. ^ "Chagos Marine Protected Area Arbitration (Mauritius v. United Kingdom) (Press Release and Summary of Award)". Permanent Court of Arbitration. 19 March 2015. Archived from the original on 2 April 2015. Retrieved 29 March 2015. ^ North Sea Marine Cluster (2012). "Managing Marine Protected Areas" (PDF). NSMC. Archived from the original (PDF) on 30 May 2013. Retrieved 5 February 2013. ^ "Patrol Vessel". The Chagos Archipelago. Richard Dunne. Retrieved 29 March 2015. ^ Cahal Milmo (28 March 2014). "Exclusive: British Government under fire for pollution of pristine lagoon". The Independent. Retrieved 29 March 2015. ^ "British Indian Ocean Territories". Parliamentary Debates (Hansard). House of Commons. 21 June 2004. col. 1219W. ^ Arneson, Larry (VQ9LA). "VQ9X Club Station". QSL.NET. Retrieved 20 September 2013. ^ Arneson, Larry (VQ9LA). "(Post of) May 24, 2013". Official VQ9X Facebook page. Retrieved 20 September 2013. Wikimedia Commons has media related to British Indian Ocean Territory. Wikivoyage has a travel guide for British Indian Ocean Territory. "British Indian Ocean Territory". The World Factbook. Central Intelligence Agency. Diego Garcia is an atoll just south of the equator in the central Indian Ocean, and the largest of 60 small islands comprising the Chagos Archipelago. It was first discovered by Europeans and named by the Portuguese, settled by the French in the 1790s and transferred to British rule after the Napoleonic Wars. It was one of the "Dependencies" of the British Colony of Mauritius until it was detached for inclusion in the newly created British Indian Ocean Territory (BIOT) in 1965. The Chagossians are people of African origin, who inhabited the Chagos Islands, specifically Diego Garcia, Peros Banhos, and the Salomon island chain, as well as other parts of the Chagos Archipelago, from the late 18th to the late 20th century. Most Chagossians now live in Mauritius and the United Kingdom after being forcibly evicted by the British government in the late 1960s and early 1970s so that Diego Garcia, the island where most Chagossians lived, could serve as the location for a United States military base. Today, no Chagossians live on the island of Diego Garcia, as it is now the site of the military base Camp Justice. The British Indian Ocean Territory (BIOT) is an archipelago of 55 islands in the Indian Ocean, located south of India. It is situated approximately halfway between Africa and Indonesia. The islands form a semicircular group with an open sea towards the east. The largest, Diego Garcia, is located at the southern extreme end. It measures 60 square kilometres (23 sq mi) and accounts for almost three-quarters of the total land area of the territory. Diego Garcia is the only inhabited island and is home to the joint UK-US naval support facility. Other islands within the archipelago include Danger Island, Three Brothers Islands, Nelson Island, and Peros Banhos, as well as the island groups of the Egmont Islands, Eagle Islands, and the Salomon Islands. The Salomon Islands or Salomon Atoll is a small atoll of the Chagos Archipelago, British Indian Ocean Territory. Eagle Islands is a group of two islands in the Chagos Archipelago. They are located on the central-western rim of the Great Chagos Bank, which is the world's largest coral atoll structure. R v Secretary of State for Foreign and Commonwealth Affairs, ex parte Bancoult  UKHL 61 is a UK constitutional law case in the House of Lords concerning the removal of the Chagos Islanders and the exercise of the Royal Prerogative. The Chagos Islands, acquired by the United Kingdom in 1814, were reorganised as the British Indian Ocean Territory (BIOT) in 1965 for the purpose of removing its inhabitants. Under a 1971 Order in Council, the Chagossians were forcibly removed, and the central island of Diego Garcia leased to the United States for use as a military outpost. Colin Roberts CVO is a British diplomat and the former Governor of the Falkland Islands and former Commissioner of the South Georgia and the South Sandwich Islands. The Chagos Islands national football team is a football team ostensibly representing the territory of the Chagos Archipelago in the Indian Ocean. However, this area, which falls under the administration of the British Indian Ocean Territory, is uninhabited save for the presence of a US military base on the island of Diego Garcia, after the United Kingdom evicted the local population between 1967 and 1973. As a consequence, the team in fact represents the Chagossian diaspora around the world. East Point is an abandoned settlement on the east of the atoll of Diego Garcia in the British Indian Ocean Territory. It was the largest civilian settlement in the archipelago, and served as the administrative capital until the depopulation of the territory. Legal Consequences of the Separation of the Chagos Archipelago from Mauritius in 1965 is an advisory opinion issued by the International Court of Justice on the Chagos Archipelago sovereignty dispute in response to a request from United Nations General Assembly. The Court deemed the United Kingdom's separation of the Chagos Islands from the rest of Mauritius in 1965, when both were colonial territories, to be unlawful and found that the United Kingdom is obliged to end "its administration of the Chagos Islands as rapidly as possible."